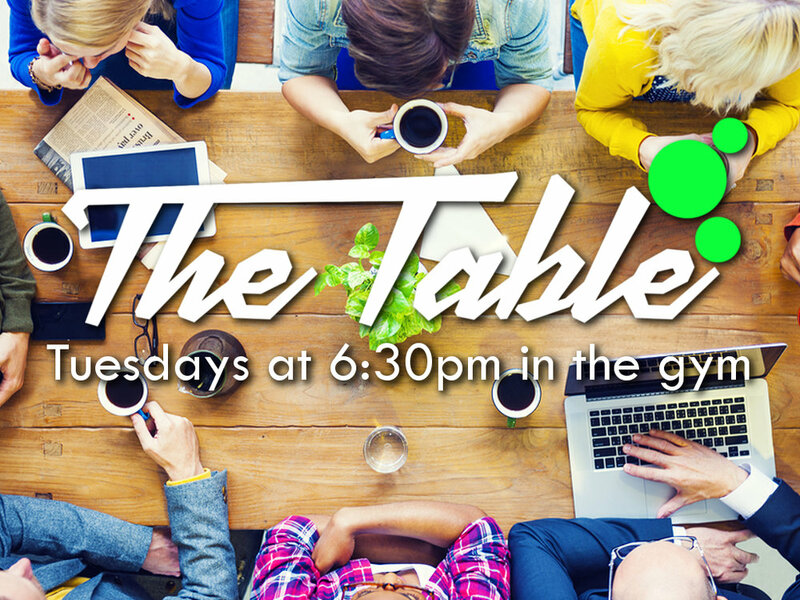 The Table is a place to come and gather with our community, and share a meal together. It is a casual evening where everyone is welcome, just as they are. We will start with a home cooked meal at 6:30pm (with coffee and tea), someone will share a short message, and then we will chat about it at our table groups. While connecting with your table you will hear stories from all walks of life, as well as have the chance to share your own story. Everyone fits in at the Table, that's what makes it so beautiful. The Table is always free. If you would like to give, it will help cover the cost of the meal. Want to join the team that runs The Table?